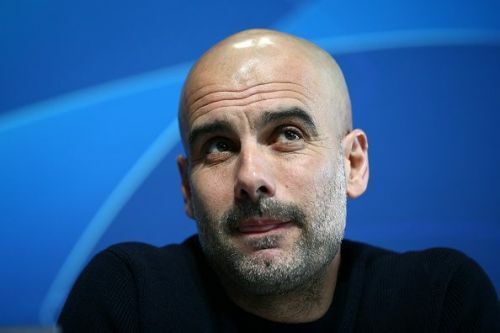 Champions League news: Pep Guardiola brands Manchester City vs Tottenham a "final"
Can Guardiola lead City to an unprecedented quadruple? Pep Guardiola's Manchester City, who are chasing a historic quadruple this season, will face Tottenham Hotspur at the Etihad tonight in their Champions League quarter-final second leg clash. Spurs lead the tie 1-0, with Son Heung-min, scoring the solitary winner in the first leg. Guardiola outlined his plans for the match at the pre-match press conference, branding the upcoming games as "finals." Manchester City are currently second in the Premier League table, two points behind league leader Liverpool, but with a game in hand. Guardiola's City have already won the League Cup this season, beating Chelsea on penalties in February. With an FA Cup final against Watford coming up in May, Guardiola will be intent on progression to the UEFA Champions League as well, with the Citizens seemingly poised for an unprecedented quadruple-winning season. Following their clash against Tottenham tonight, City will face Spurs again at the weekend in the Premier League before meeting Manchester United next week. During the pre-match presser, Guardiola remarked that it was a do-or-die match for his team, with Spurs carrying the one-goal advantage going into the game. The Spaniard then went on to discuss the importance of City's upcoming games as they could make or break their season. ""If we don't win these games, we will be out in two competitions. They are finals for us. I had that feeling from weeks ago as well, not just for this week." Guardiola called upon the City fans to create a hostile atmosphere at the Etihad for Spurs. "I'm really curious how are fans are going to react. [An atmosphere like] the Liverpool game will be enough for me - a little bit better. I want to see if they [the fans] want to get to the semi-finals." He also commented on the fact that Manchester City are playing more matches than current Premier League leaders, Liverpool. "All the games are tough. We don't have rest. We play nine, 10 or 11 games more than Liverpool and I love this challenge." Manchester City will look to progress to the Champions League semi-finals at the expense of Spurs, whom they will once again face in the league on Saturday.